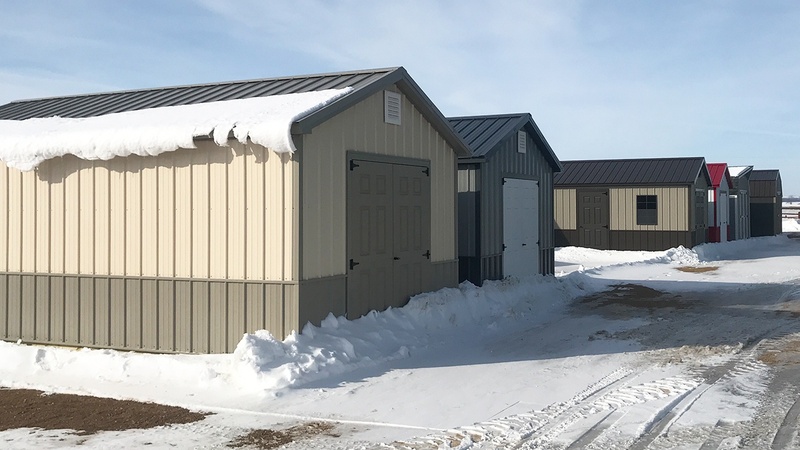 We display our Dakota Storage Buildings' sheds and garages in various locations across Minnesota and South Dakota for you to see our products' dimensions and quality. 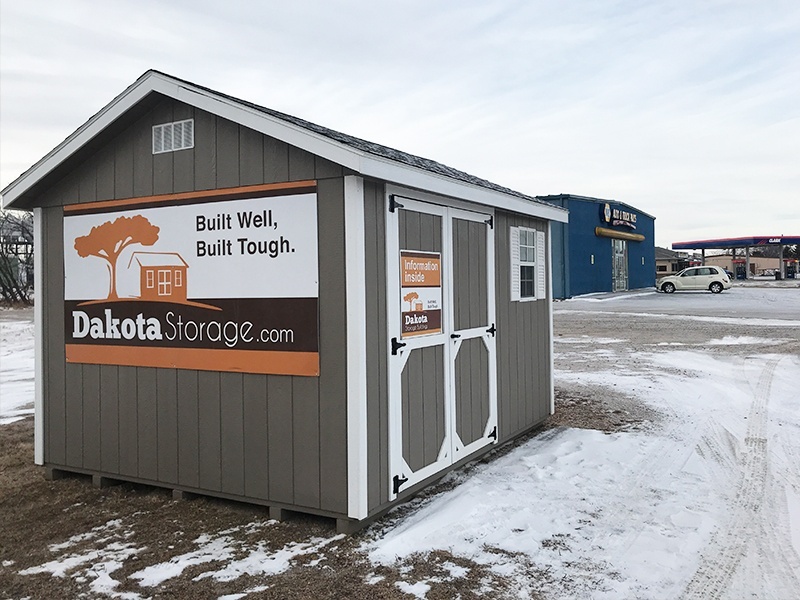 Our Dakota Storage Madison shed lot conveniently located right next to the Pizza Hut on 2nd Street. This Dakota Storage display location typically has 5-6 sheds or garages for perusing. Each building is unlocked, so you can simply pull off to the side of the road at any time to get a close up view of the construction quality and design details. There will be one shed that serves as an information booth. In there you'll find product brochures and information on how to order one of our sheds, however, the lot is unattended. If you have questions or if you would like to set up an appointment to meet with a sales representative, please call 605-202-5764. Check out Google Street View for an idea of how to find our Madison location. Madison South Dakota is located between Lake Herman and Lake Madison. See where to go in the city by following their Facebook page. You'll usually find sheds and garages at discounted prices on this lot. Call 605-202-5764 to find out more details about our discounted products! Looking to see a different variety of our display sheds? We have other locations nearby that you're welcome to visit! 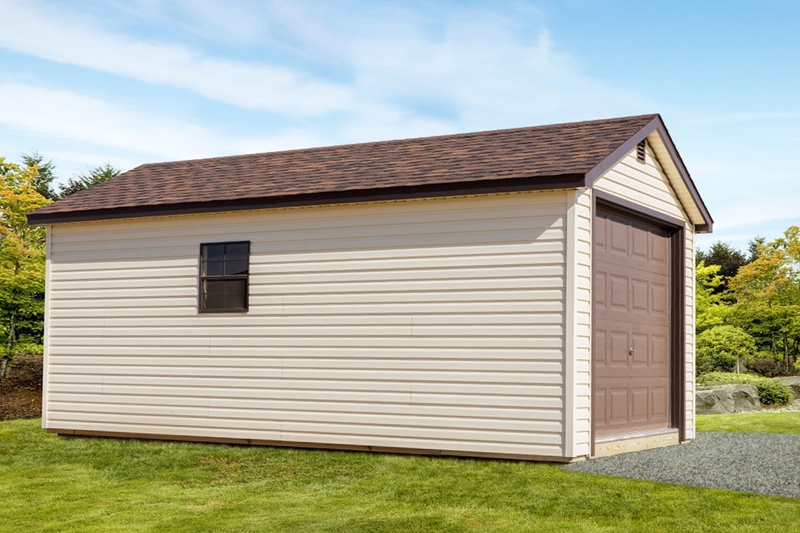 Each shed and garage we build is made from premium lumber and materials. These higher-quality components are assembled with great care, by hand, using old-school craftsmanship techniques.